Lovely story, but not what I expected. I thought, “A wedding! France! Cheese! Pastry!” And I got a wedding… but not until the very very end; France… well a part of France caught very much in between England and France in language and culture; cheese… yes, but not everyone liked it; and pastry… oh the very best pastries and cakes made by chef Juliette. Juliette set aside her personal baggage to be Max’s personal chef. For Juliette, life was even easier that way. When Max invited a bunch of friends to stay at his home for the weekend, Juliette was ready to cook for them like a madwoman. But things went wrong at every turn due to the shadow Max’s mood cast. Whether he meant to or not, Max kind of ruined everything for his friends and his chef. And that kind of ruined the story for me. Good writing, good plot, depressing main character. What a lovely story! I keep saying I don’t like flashbacks in a story but I think I do like it if done well. Laura Madeleine does it well! I adored the story of the poor country boy falling in love with pastry and Mme Clermont. Author Madeleine painted 1910 patisserie life with just the right amount of romance and beauty, and juxtaposed it perfectly with the grit of railroads, brothels, and street thugs. Flash forward to 1988 where phD student Petra gets sidetracked trying to clear her grandfather’s name and unravel the great Clermont mystery… I just as much enjoyed Petra’s phone calls and literal legwork trying to figure out clues about her grandfather. I was psyched for Petra’s ride on the back of Alex’s motorbike, and glad to see that the romance of 1910 carried over to modern times. I think I would have been able to get more lost in the story if Madeleine had stuck with the 1910 matters, but it was gratifying to see how it all played out in the end – a type of closure I wouldn’t have been able to experience unless the 1988 story existed as well. Historical fiction is one of my favorite genres, and many of my most memorable reads fall into this category. That being said, it’s a genre that’s been hit or miss for me. A book is either at the top of my charts, such as The Book Thief, or it’s at the bottom. I’ll refrain from naming some of those bottom lurkers. 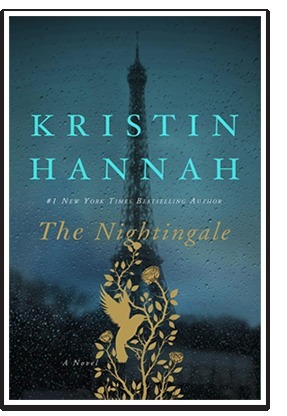 This newest book from Kristin Hannah, however, suffers no such fate. Vianne is living a happy, simple life with her husband and daughter in a small French village. And then the war becomes all too real as her husband is called to fight and her village is taken over by the Nazis. Vianne’s primary focus now becomes survival and escaping the attention of the occupying enemy. This is made more difficult when Nazi soldiers take over her home. And then there’s her strong-willed sister, Isabelle. Isabelle has always had a strong sense of right and wrong, and even the threat of imprisonment or even death isn’t enough to stop her. While Vianne tries to simply fly under the radar, Isabelle finds herself in the thick of it as a covert French Resistance fighter. Vianne constantly struggles with keeping herself and her daughter safe while at the same time doing what is right. The story alternates between war-torn France and present-day America as the narrator relives this dark period in her past. Along the way we find out that nobody is who they seem, and you never really know everything about a person, even if they are a family member. An especially appealing part of this story is that the identity of the narrator isn’t revealed until the very end, leaving you guessing as to just whose story you’re hearing. This book was a drastic departure from other stories I’ve read by this author. While all of her stories have been outstanding, previous ones I’ve read have had more of a romantic, women’s lit type feel to them. The Nightingale encompasses that as well as so much more. It’s a love story, but also a story of survival as well as family dynamics. It’s not just a book for women, but also a book for anybody interested in World War II and especially the role played by females. I look forward to hearing what others think about this outstanding story! Would you put everything on the line to save innocent people from persecution? Would you hide someone in your apartment, knowing that in doing so, you’ve just signed the death warrant for yourself, your family, and even the rest of the tenants in the apartment building? Well, as tough as these conundrums may be, people in Nazi occupied France made these kinds of decisions every day. One of these people, Lucian Bernard finds himself wrestling with his conscience, sense of practicality, pride, and financial strain, when he accepts a commission to build a concealed hiding place for a friend who makes it his business to hide Jews, and at the same time, accepts a commission from the Germans to build a factory in Paris. 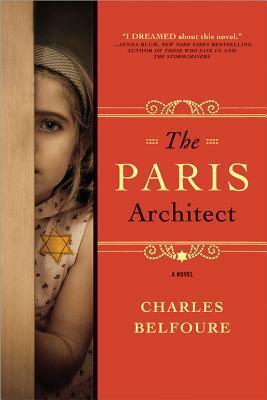 Charles Belfoure’s debut fiction novel, The Paris Architect, has been hailed as being exciting, exhilarating and nerve racking. Belfoure has even been called the next Ken Follet…. Yeah, that kind of put me off as well – I really hate plaudits like that, A) it is lazy writing, B) it is such a big comparison, that it is almost impossible to live up to, and C) every author should be individual…. Anyway, that’s for another musing post later on maybe. I wanted to read something completely different to what I am currently struggling through (I may either have a really positive review or a really negative review in a few weeks! ), and so I thought I’d give this one a go. Let me tell you, I am so glad that I put my initial reluctance aside because it turned out to be one of my favourite books that I’ve read this year! The writing and pace follows that of a traditional thriller, however, instead of implementing 3 page chapters, Belfoure manages to keep the suspenseful tone and pace throughout decent sized chapters. This is a real telltale sign that an author knows how to write. The characters are very well fleshed out and no one in this novel is “perfect” – each person has their own prejudices and how they decide to prioritize these prejudices is interesting, and sometimes frustrating. There are some negative points to this novel though: Sometimes the phrases used by certain characters seemed quite contemporary, or Americanized – but then, for all I know, they may have indeed used those phrases in 1941. Another issue with me was the fact that sometimes certain things tied a little too neatly together – however, at the same time, it did show realistic human nature, so I suppose that can’t be too much of a negative. I can’t really explain further as it would give away some major plot points. Although entirely fictional, the happenings in this novel most likely did occur in Nazi occupied Europe. I love reading about the French Resistance and the dichotomy between the citizens of France that try to survive by joining the Resistance to destroy the German progression, and the other citizens who try to survive by “collaborating” with the Germans in many different aspects. It really does make you think about what it means to survive, what it would take, and how far you can stretch your moral compass. Do yourself a favour and pick up a copy of this brilliant read! Honeymoon in Paris is a mystery wrapped in chick-lit, with a little romance thrown in. 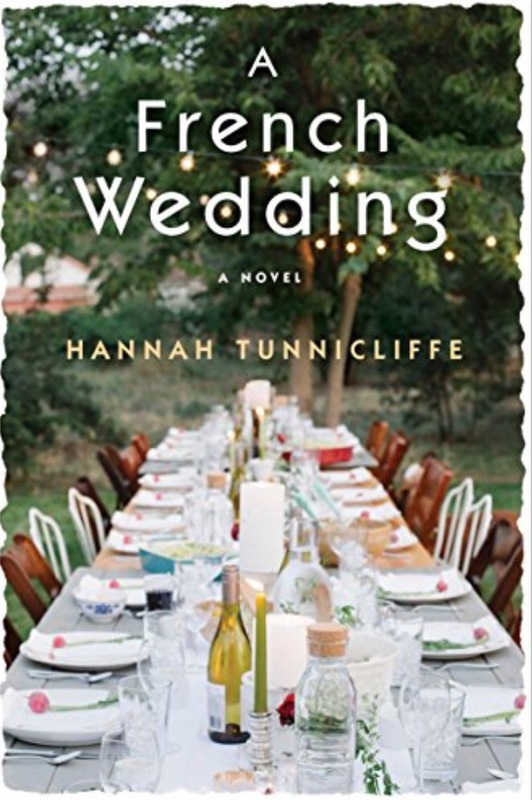 Charlotte and Luc begin their marriage in a small apartment in Lyon, France, where Luc romances the heck out of his wife …. Until he starts keeping secrets. I also liked Charlotte’s friendship with Lexi and Fiona. Their knowing glances, quick-catch-ups over pastry or texts, and occasional nights out seemed authentic. The girls are young, adventuresome, and pretty fearless. The book skewed a little young for my personal taste, but it brought me back to my 20s, and it was a pretty fun trip. The supporting cast was a treat – sleazy Vincent, Devil-Loves-Prada-Glenn-Close Mireille, and spoiled Brigitte. Sometimes foils are just as fun as protagonists, and that was certainly the case here! The only thing that bothered me about Honeymoon in Paris is the subtitle (A Paris Romance). This book wasn’t much of a romance. It was mostly chick lit and mystery, with a few lovey dovey scenes between the newly married couple. Because of the subtitle, I expected a romance and was disappointed. If the subtitle read A Paris Adventure, I would have been ready for the capers that ensued. The other Paris books in Sobanet’s repertoire skew more toward romance. 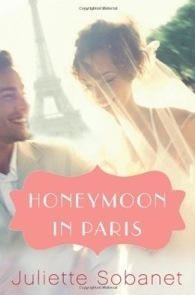 If you’re up for suspenseful chick lit and you’ve got your sleuthing hat on, you’ll enjoy Honeymoon in Paris. I love the Chocolate series by Laura Florand. 2 different authors that I really like – Ruthie Knox and Nalini Singh – recommended these books publicly and I’m so glad they did. 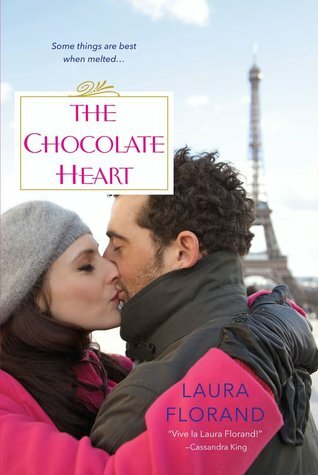 The latest book, The Chocolate Heart, is set in a Parisian hotel for the majority of the book. Summer Corey has been told all of her life that she is a spoiled brat. By her father, by those around her and by the press who loved to follow her around as she made mistakes. Everyone was surprised when about 4 years ago she dropped out of sight and it was rumored she was on an island the entire time. The first time she’s seen again by the public is in her father’s expensive hotel facing off with pastry chef Luc Leroi. Fans of the series will recognize the Corey last name and will be happy to see some previously featured characters have some screen time. Summer’s father has essentially blackmailed Summer to be in France for a certain amount of time even though Summer hates the city and has only negative memories of the hotel. Luc tries to woo her with his elaborate chocolate desserts and is astonished to have them returned to the kitchen one by one every evening with Summer’s regrets, saying that she does not eat sweets. Luc is bound and determined to get to the heart of this enigma of a woman who does not want to let anyone in. What I love about this series and what is hard to explain is that it’s about chocolate, but so much more. Looking at covers and reading descriptions doesn’t quite do the books justice because there is so much depth to these books that were unexpected to me at first. This new book does not disappoint at all. I adore the descriptions of the desserts and how they’re made – the author does a wonderful job of doing this in such a way that it captures the emotion and passion that seems to jump from the page. 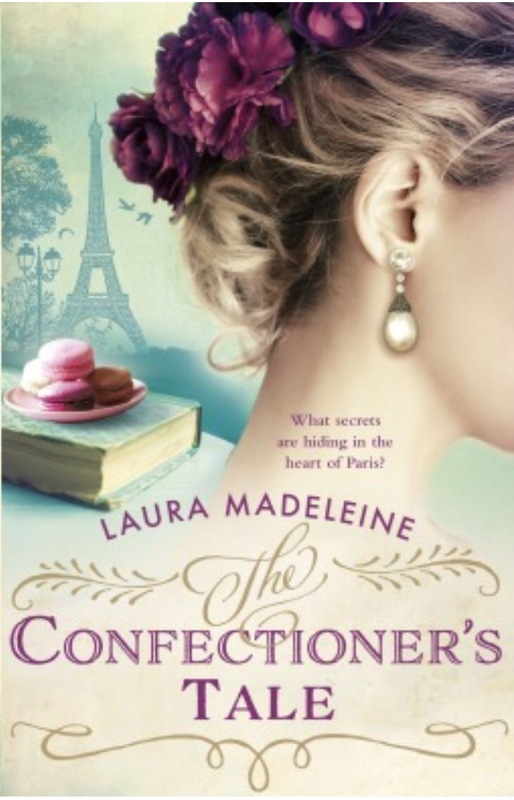 After reading each book in this series I always want to run off to France and find a chocolatier to watch at their best. Luc is a passionate man but not a typical alpha male in the sense that is common in many romance novels currently. He is intent on Summer and wants to know her and why she is the way she is, while Summer has no desire to get to know him. She wants to run away back to her island and get back to her lonely existence. This was a beautifully written addition to the series. I wouldn’t hesitate to recommend this to another romance lover.